The MAN Group looks back at a challenging fiscal year in 2015: While the European commercial vehicles market recovered, the situation in other regions — especially Brazil — and in the Power Engineering business area remains tense. Although the global economy recorded moderate growth, economic momentum in many emerging economies slowed further over the course of the year. Russia and Brazil continue to be of great concern. MAN Truck & Bus was able to maintain its position in the key commercial vehicles markets in Europe and to increase its sales revenue and sales. 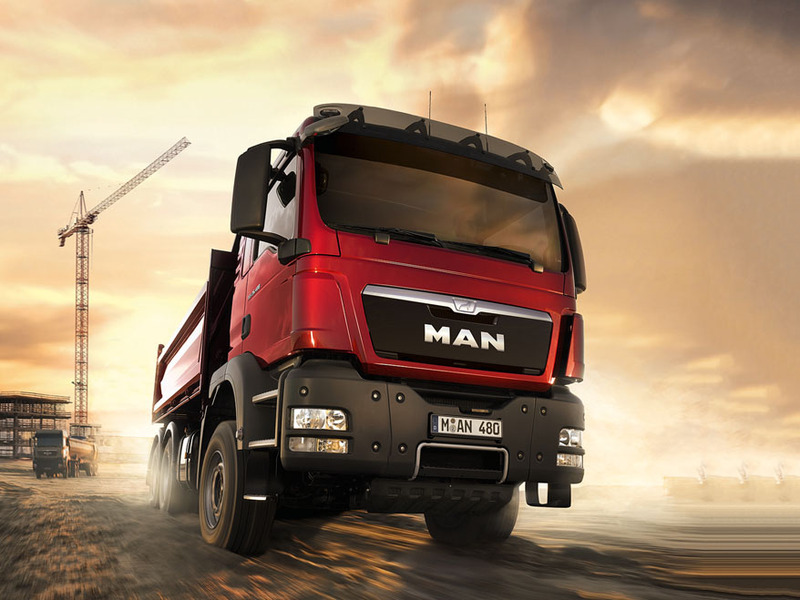 MAN Truck & Bus has launched a future growth program designed to increase long-term competitiveness. In the Middle East region, MAN Truck & Bus saw a steady business performance in 2015 with sustained growth in customer demand and customer satisfaction. The positive performance comes on the back of a strong brand perception, excellent customer services and solid growth for the transport sector. The strong presence of MAN Truck & Bus through an extensive network of long term committed partners across the region gives MAN a clear edge moving into 2016. At €14.4 billion, the MAN Group’s order intake in fiscal 2015 was down 6% year-on-year. In the Commercial Vehicles business area, it amounted to €11.0 billion, 4% lower than the previous year’s figure. MAN Truck & Bus received 9% more orders, while order intake at MAN Latin America declined by more than half. At €13.7 billion, the MAN Group’s sales revenue in fiscal 2015 was 4% lower year-on-year. The Commercial Vehicles business area recorded sales revenue of €10.0 billion. MAN Truck & Bus generated year-on-year growth of 7%; sales revenue amounted to €9.0 billion. Unit sales increased by 8% to 79,222 vehicles. MAN Latin America’s sales revenue declined to €1.0 billion; unit sales almost halved to 24,472 vehicles. The MAN Group’s operating profit after restructuring expenses was €92 million in fiscal 2015. Operating profit at the Commercial Vehicles business area dropped to €–101 million. MAN Truck & Bus recorded an operating profit before special items of €205 million — a significant increase compared with the prior-year period. Special items weighing on operating profit related to restructuring expenses of €185 million for the future growth program. This reduced MAN Truck & Bus’s operating profit to €20 million. MAN Latin America recorded an operating loss of €120 million because of the lower volumes in Brazil and introduced a large number of measures to counteract this trend. The MAN Group’s operating return on sales declined to 0.7% in 2015 against the backdrop of special items from restructuring expenses and the extremely difficult economic environment in Brazil. “We have initiated or stepped up measures to increase profitability in all divisions. Our goal is to deliver significant results from optimized products and components, as well as procurement. Additionally, capital expenditures are being reviewed and workflows are being examined and enhanced. The most important new measure is the future growth program to strengthen the long-term competitiveness of MAN Truck & Bus. It includes reorganizing truck production and streamlining administration. The changes introduced in the bus production network in 2014 have now largely been implemented. As MAN SE’s Executive Board, we are convinced that it was and remains the right decision to initiate pivotal measures to safeguard the Company’s future growth even in economically difficult times,” says Joachim Drees, Chief Executive Officer of MAN SE. In May 2015, Volkswagen AG’s Supervisory Board approved the creation of Volkswagen Truck & Bus GmbH, a commercial vehicles holding. As part of this, MAN Truck & Bus, MAN Latin America, and Scania are collaborating more closely while retaining their identities and full operational responsibility. The new group aims to generate potential additional long-term operating profit synergies averaging at least €650 million a year. In light of the long product lifecycles in the commercial vehicles business, it will take ten to 15 years before these have been fully realized. For example, leveraged synergies in the areas of procurement and development are expected. Accommodating for the demanding operating conditions in the Middle East, MAN Truck & Bus Middle East provides full-fledged turn-key solutions for both goods and passenger transportation by road through its light (TGL) , medium (TGM) and heavy-duty (TGS WW) ranges of trucks, and MAN and NEOPLAN buses & coaches that provide basic to VIP luxury transport and travel requirements.